I was looking for a lighter snack to munch on while shopping in our town centre. 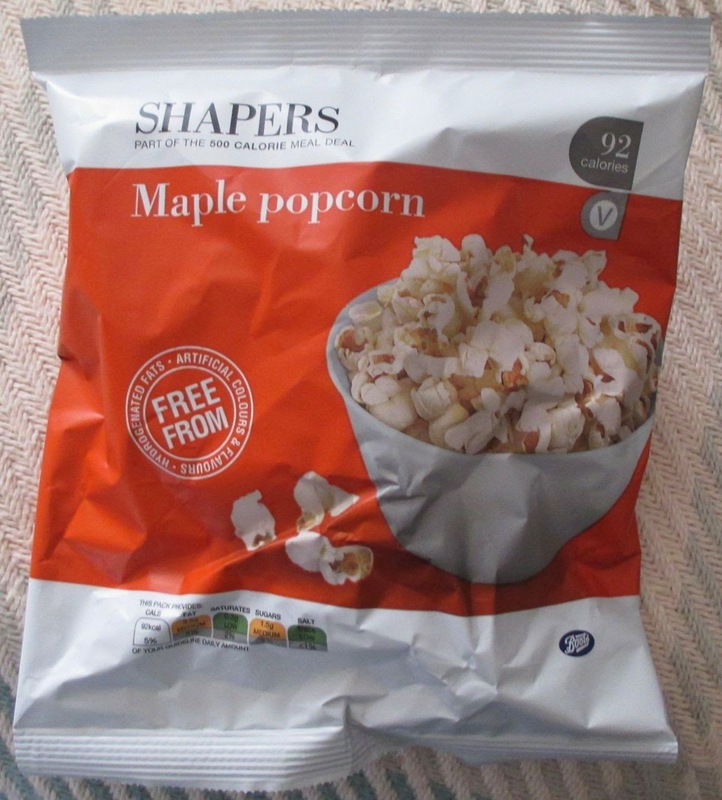 Popcorn is usually a good lighter choice, so when I found Shapers Maple Popcorn in Boots, I thought I’d give it a try. When I saw that they were Maple flavoured I did assume that these would be Maple Syrup and would be sweet, but that wasn’t what I found. I mean they clearly where meant to be sweet, but they had obviously held back on the sweetness aspect, as a calorie saving. These are in the Shapers range, and the whole bag only has 92 calories, but they still tasted a little ‘healthy’ for my liking. The texture too wasn’t that impressive. They had some crunch to them, but were boarding on a little chewy instead of fluffy in places. The flavour had a hint of something else in there to, something savoury that I couldn’t quite put my finger on. It was like it was trying to emulate bacon soaked in maple syrup, (a fabulous American style breakfast) but missing the strength of either taste. They were a bit muted, like they were trying to remind you they were low calorie. The popcorn wasn’t unpleasant by any means, it is just that I’ve tried some seriously fab flavours from other brands recently, some of which were low in calorie too. The bag certainly makes an inoffensive and filling snack, just don’t go expecting to much. 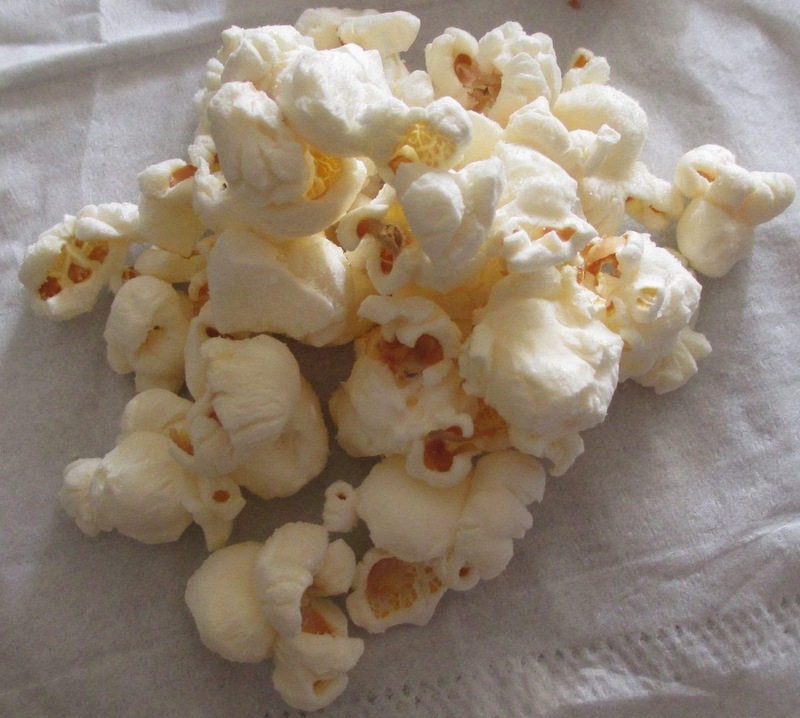 the best maple syrup popcorn I have tried is portlebay. Maple syrup and bacon, delicious!